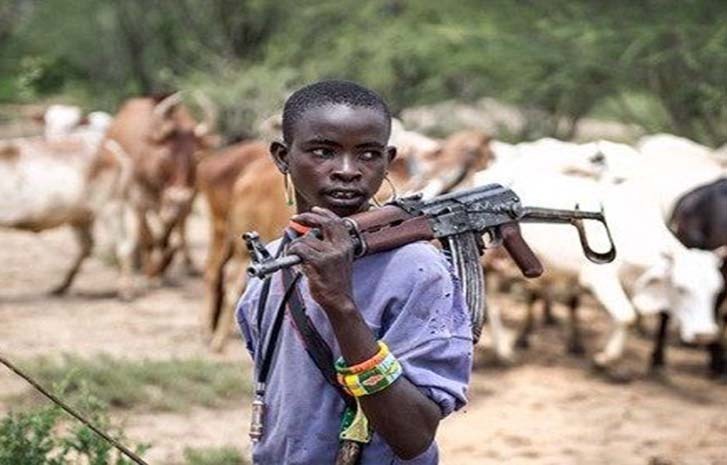 A large number of armed men suspected to be herdsmen have allegedly attacked and burnt down Bare town, in Demsa Local Government Area of Adamawa State. The incident happened at around 5 pm on Saturday. The attackers are said to have burnt down houses, farm products and personal belongings of the Bare community, just recovering from a relentless wave of herdsmen attacks in 2018. They also burnt down a catholic community in the area. The attack, according to a local clergy of another church happened late this afternoon. “It was an attempt to enter Bare by the Fulanis. But that was resisted by the Bwasas. So the Fulanis, while retreating, burnt houses including the Catholic mission quarters. The community was not attacked in their last attacks days before now. “Also burnt were houses earlier burnt in previous attacks which their owners had already started fixing, hoping to return to after the last attacks. “No casualty has been recorded for now. But there is an uneasy calm as nobody is sure of what might happen next. “I just spoke with a relative who is in Bare right now, and he said the crisis began when some herds of cattle invaded some dry-season farms belonging to the locals across the river. When the herdsmen were confronted, they responded with firearms. “Bare youths later mobilised and resisted their attacks. But when the herders returned, they vented their anger on the houses in the area including the catholic community. “The whole place, I was told, was covered with ashes; only a few buildings in the Catholic community were left standing. “The students of the catholic school were said to have all run to Bare town. “Only a few policemen and soldiers were seen when the attacks took place. Confirming the attack, the Catholic Bishop of Yola, Most Rev Dr Dami Mamza, said: “I have just received information that a Catholic mission school in Daso town in Bare has been attacked. “The Catholic mission school was burnt down; the residence of the Reverend Father has also been burnt down. “I want you to know that this is a community to which residents are just returning after they were sacked by those killers. “Houses that were earlier burnt have been burnt down again as their owners have tried to rebuild them; crops harvested have been burnt too. “We have made a case for a military base to be set up in this area, but that has not been done for whatever reason. The police are yet to confirm the security breach and no casualty has yet been confirmed. The southern Adamawa has been under relentless herdsmen attacks since 2016; this is the first of such attacks in 2019. 29th May , 2019 marks the end of the reigns of your monstrous grand patron Buhari . There after comes the new Nigeria’s leader who will deal decisively with you.